From 1st October 2013 the UK Intellectual Property Office (UK IPO) is introducing a new Fast Track Opposition procedure for UK Trade Marks. The aim is to simplify and speed up the trade mark opposition procedure and to reduce the associated cost implications. This should encourage SMEs and individuals to enforce their trade mark rights. The new Fast Track process is an alternative to the existing opposition process that remains available and will be appropriate for more complicated disputes. How will the fast track differ? It will have a £100 opposition fee which is lower than the current fee. It is limited to s.5(1)/5(2) grounds ie those where it is a simple comparison to a prior registered trade mark. 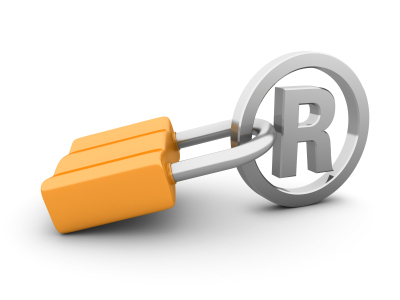 What will this mean for trade mark holders? The new system provides a potentially cheaper and quicker forum for decisions on simple UK cases, but will not be appropriate in all cases, especially due to the need to put evidence of use in at the outset. It will apply to all UK trade marks but the onus remains on the owners of prior rights to oppose if they feel that is required – so it remains important that action is taken to monitor later applications to ensure one is aware of conflicts in time to take a decision on opposing (either by the existing process or the new fast track). For more information on the trade mark opposition procedure or any aspect or trade mark protection, please contact the team at Sanderson & Co.
Today sees the launch of the Police Intellectual Property Crime Unit. The aim of the new unit is to target Intellectual Property crime, which currently costs the UK economy hundreds of millions of pounds each year. The unit is being funded by the Intellectual Property Office, which is part of the Department for Business, Innovation and Skills, and run by the City of London Police. On its first day of operation the unit arrested 2 men in the early hours in Birmingham, on suspicion of importing and selling counterfeit DVD box sets with a value of £40,000. If you need advice about IP protection or advice about how to deal with infringement of your rights please contact us.